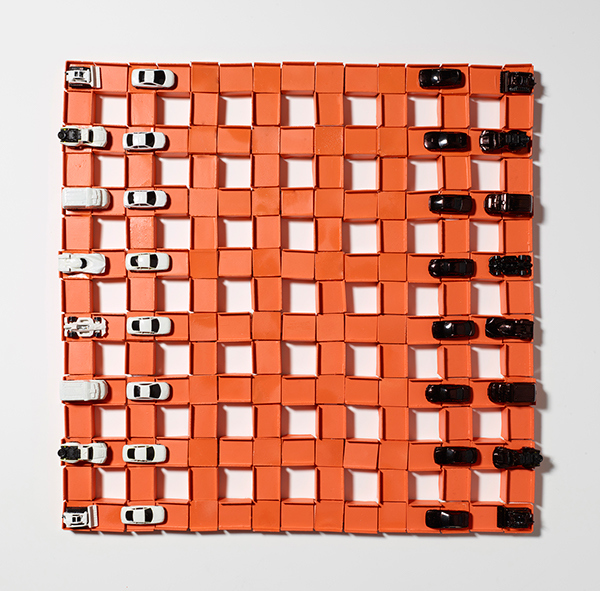 segments that can be reconfigured in any arrangement. 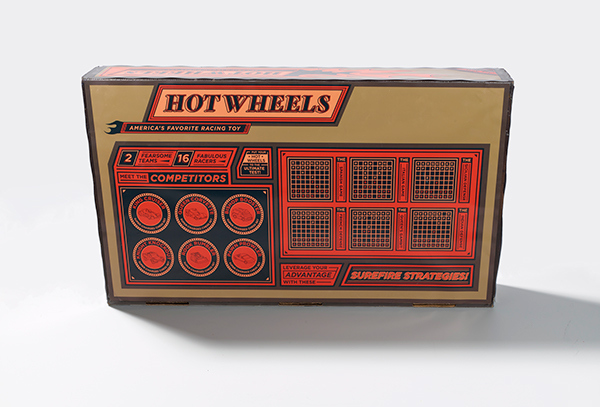 Two teams of HOT WHEELS cars battle head-to-head. 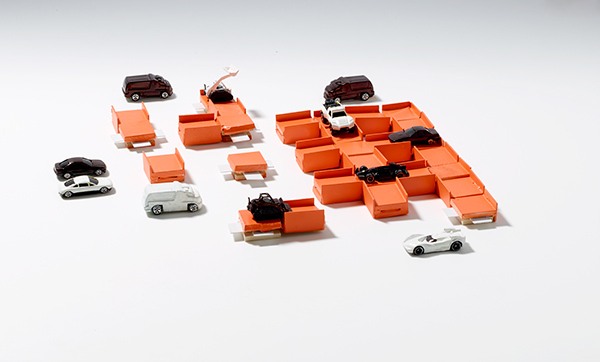 Piece values are determined by the rarity of the vehicles; kings are classic hot rods, and queens modern supercars, while pawns are ordinary sedans. 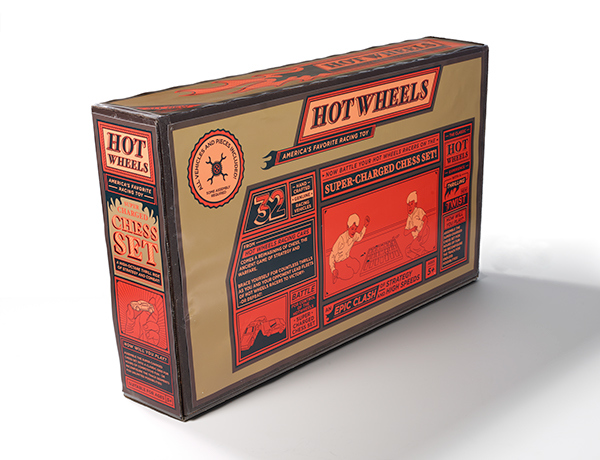 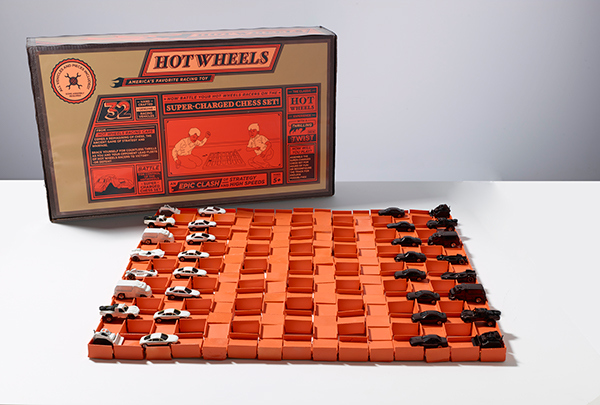 The HOT WHEELS board is assembled of custom-built styrene track segments. 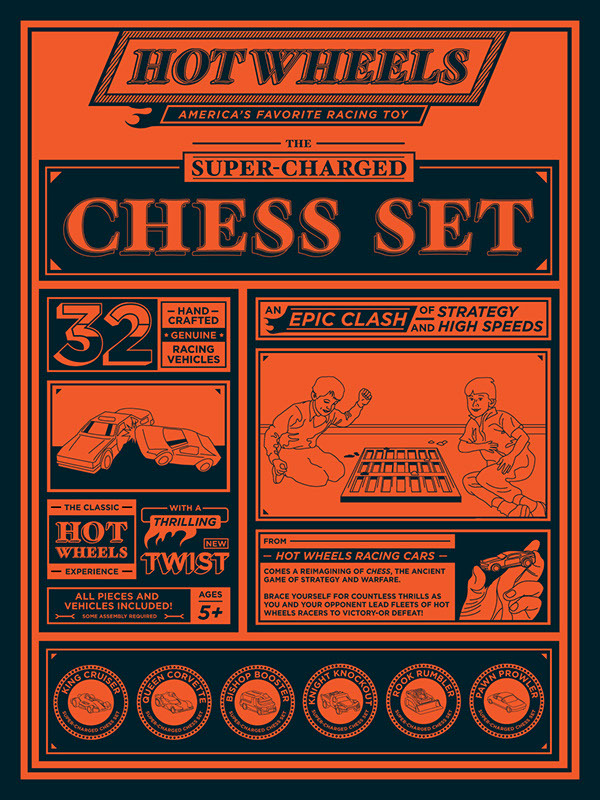 The pieces are interchangeable and can be combined into a classic chess set grid, or rearranged to form any track imaginable. 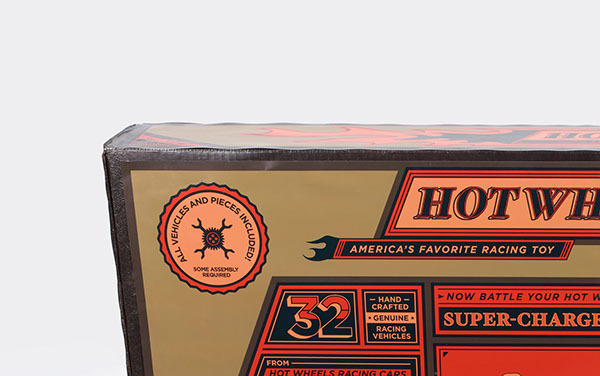 Pulling influence from the original 1968 series of hotwheels cars and their plastic cases, the HOT WHEELS SUPER CHARGED PACKAGE is a monument to all things enthraling about the classic racing toy. 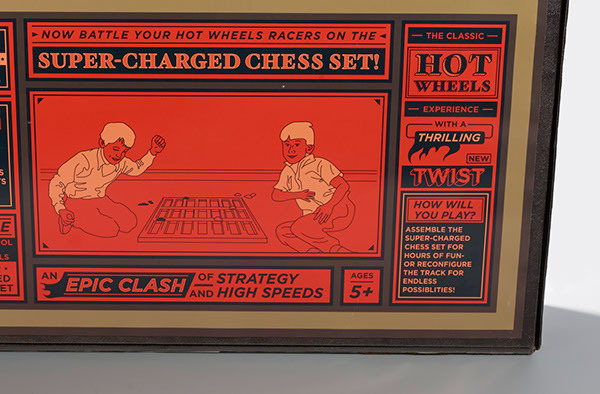 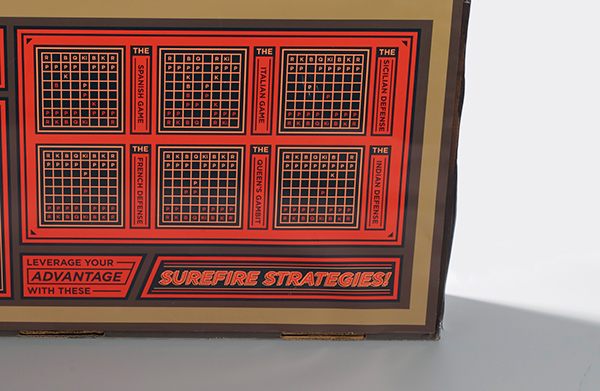 Flashy copy and dramatic illustrations coat the front and sides of the box, while the backside features a roster of the pieces included, as well as a number of strategic chess openings. 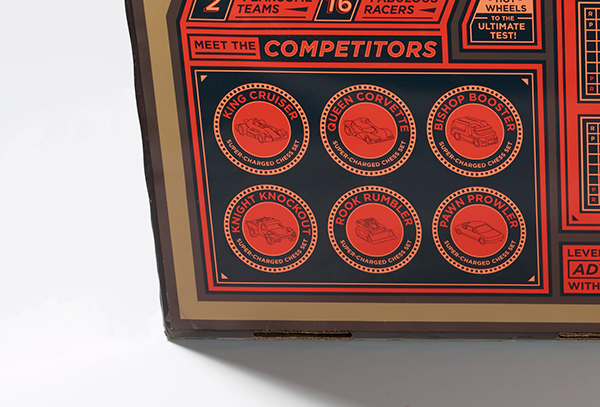 Modular chess set inspired by the classic racing toy.